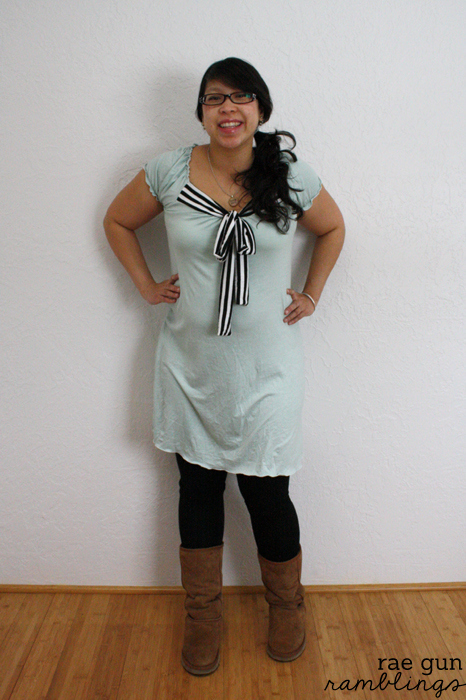 I’m super super excited for the first Sew Our Stash of the year. If you’re new around here, my friend Bev from Flamingo Toes and share what we have made for ourselves the last Thursday of every month. 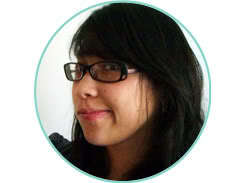 We started because we wanted to sew more wearables for ourselves and needed the accountability. Since then we’ve had other fun people join in on using the hashtag #sewourstash when sharing pictures of our selfish sewing and wearing of handmade clothing on Instagram. I can just say I love being “forced” to make myself at least one thing each month. It’s been so good for me! This dress drove me batty. It didn’t help that I was trying to make it on one of those days where a hundred little things were going wrong. But I took the pattern off of a top that I liked. I just traced it onto drawing paper. And after lots of staring I figured out how I should put it together. It was going mostly okay until I tried to finish the the sleeves and they just looked messed up and awkward. But the super thin knit I used would definitely not hold up to unpicking. Not that I do that kind of thing any ways ;) So I cut off the sleeves, cut new ones and ended up with this. I have to say after spending about 3 times the amount of time I think it should have to make this I’m super happy with how the dress turned out. 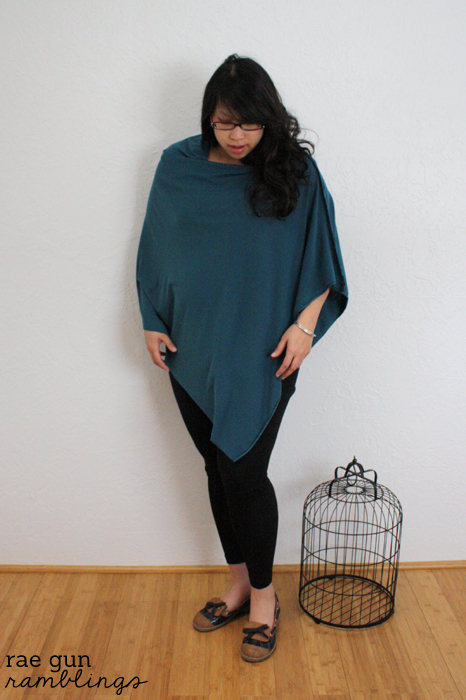 I also made myself an awesome poncho. Isn’t it fabulous? 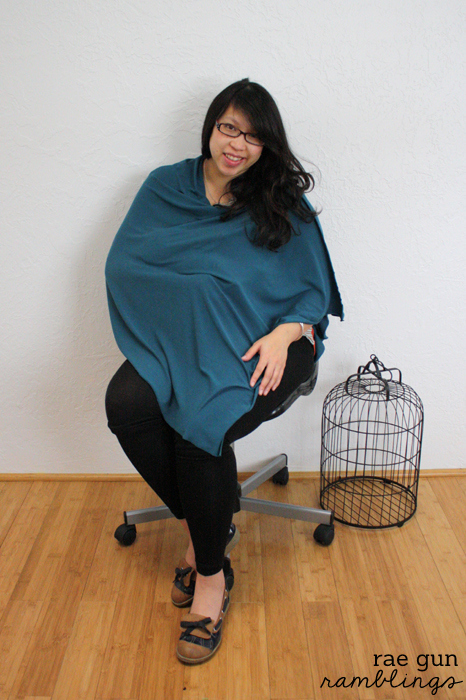 Just kidding it is NOT a poncho it’s a nursing cover and I’m kinda in love. I’ll be sharing a full tutorial on how to make the nursing cover next week but I figured I could count it as part of my Sew Our Stash for the month right? 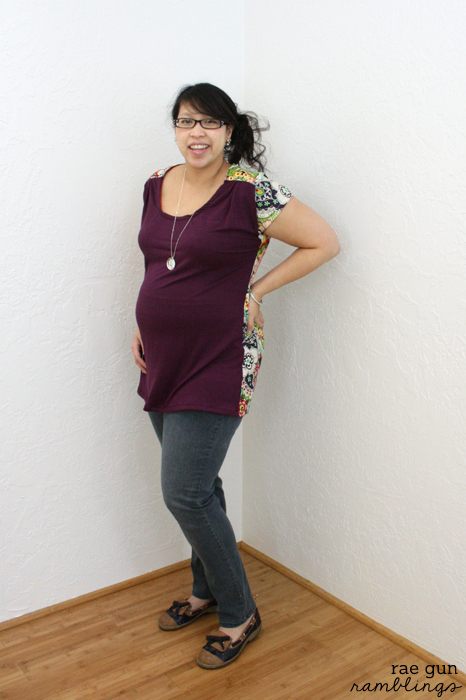 And if if you missed it I made myself this cute Maternity Bess Top earlier this month. 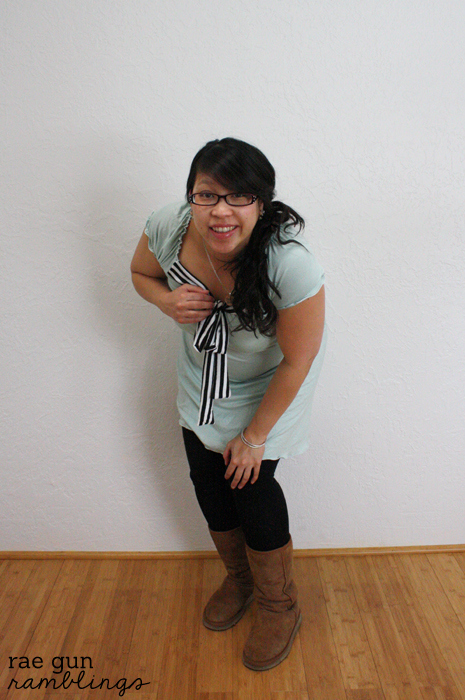 After Toasty comes (eep I’m just about a month from my due date now!) I really want to challenge myself to stretch my skills and learn more. I want to actually make myself use patterns and not just hack and adjust like I normally do. I’m sure I’ll still do that a lot but every time I force myself to walk through a pattern even if I don’t construct the garment exactly how it suggests I learn something new. Don’t forget to swing by and see what Bev made this month. 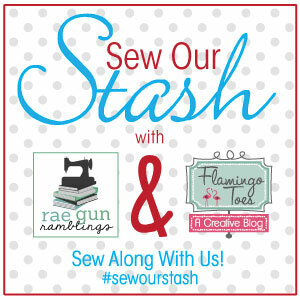 Also visit us on Instagram (me and Bev) and make sure to join in on using #sewourstash for your pictures. We’d love to feature what you’ve been making too! I can’t get over how adorable you are! You look so great – I can’t believe you are due in a month. 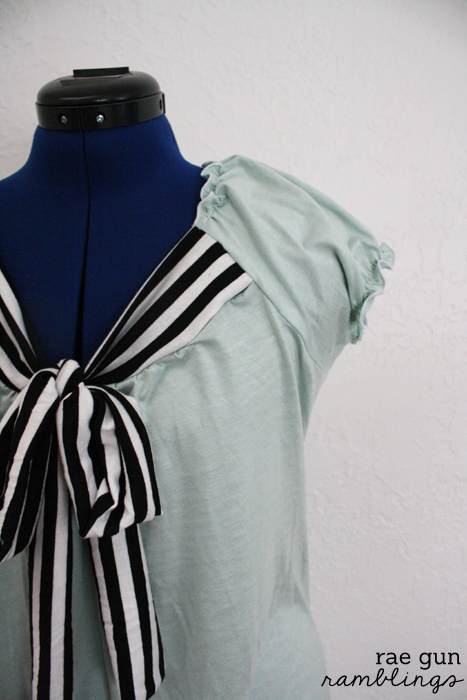 I love all three – that mint with the black and white stripes is such a great combo! Oh, wow! I love all three projects! 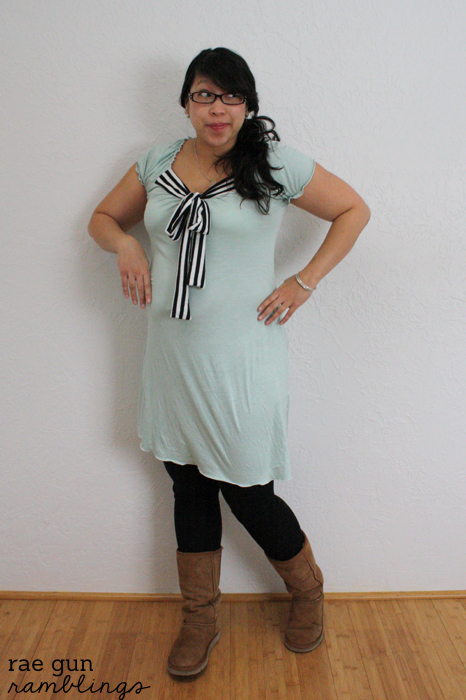 That mint green dress is absolutely darling! YOu totally have time! And definitely do it for next month, I love having the deadline it’s one of my favorite things that I started doing last year! hehe do you think I can pull off the poncho look? I think the fact that it doesn’t scream nursing cover and if I just left it on is actually one of my favorite parts of this project. I need to get some sewing time for myself. I’ve got fabric waiting to be Bess tops, but I just haven’t got around to cutting them out yet. I have a pile of leggings for Olive I need to finish up. I have no idea how it got to be the last day of January and I only made a muslin for an upcoming project. I definitely have to join you gals to sew up my own stash!